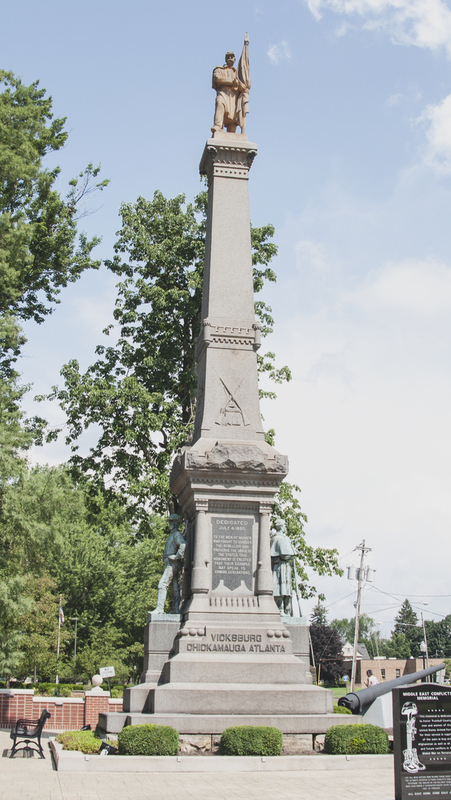 This massive monument stands erect in Trumbull county's Veteran Park. 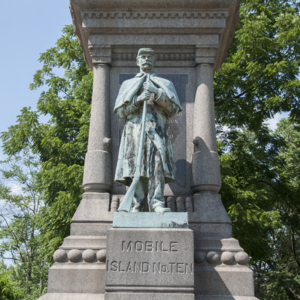 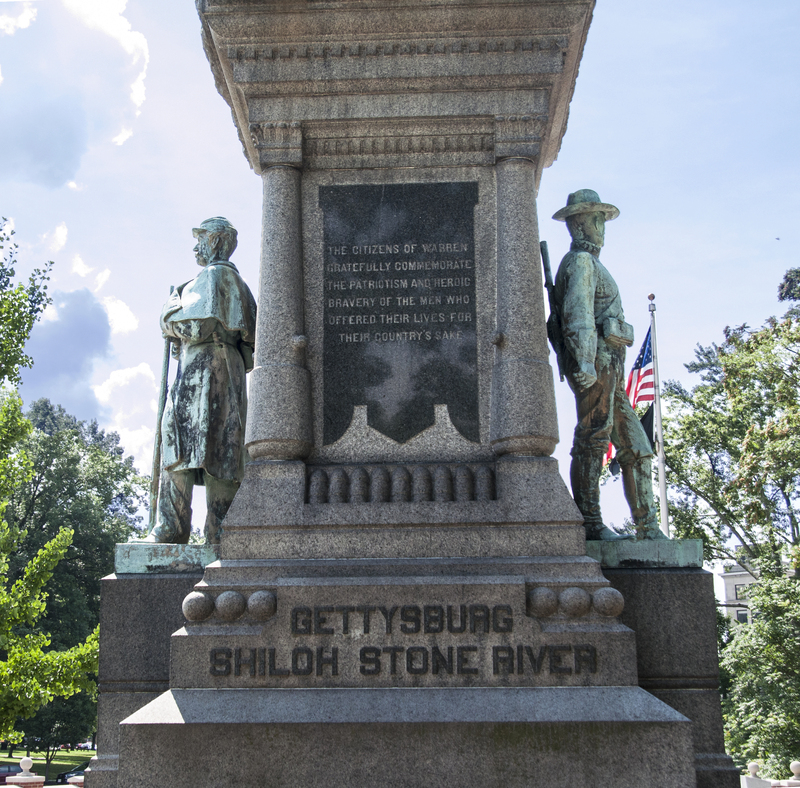 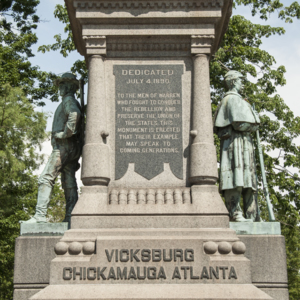 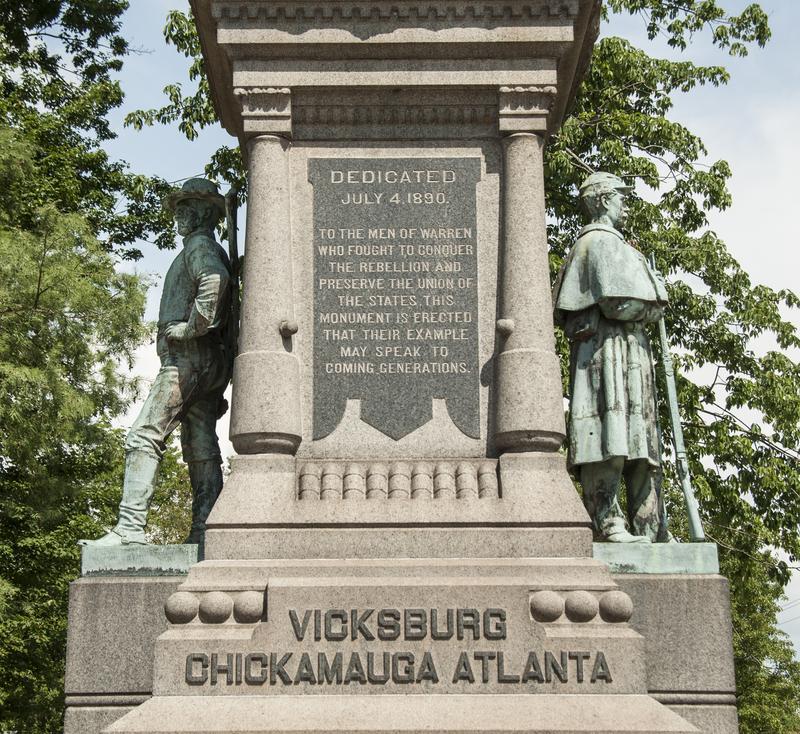 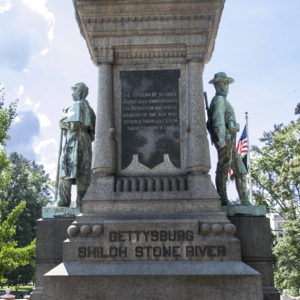 The sculpture memorializes the fallen Union men of the Civil War and depicts three military men: one at the top and two on either side. 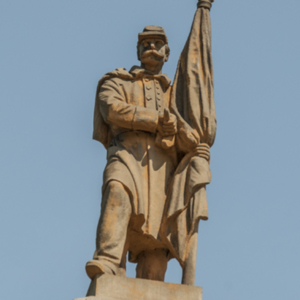 The soldier atop the long column holds a flag upright in his proper left hand and begins to unsheathe his sword with his proper right hand from his left hip. 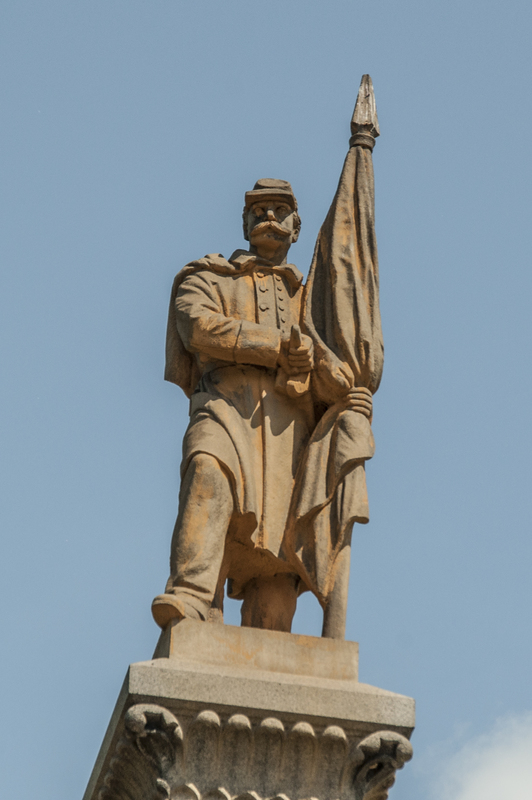 The soldier to the right of the column stand in a relaxed contrapposto stance with his proper left hand on his hip. 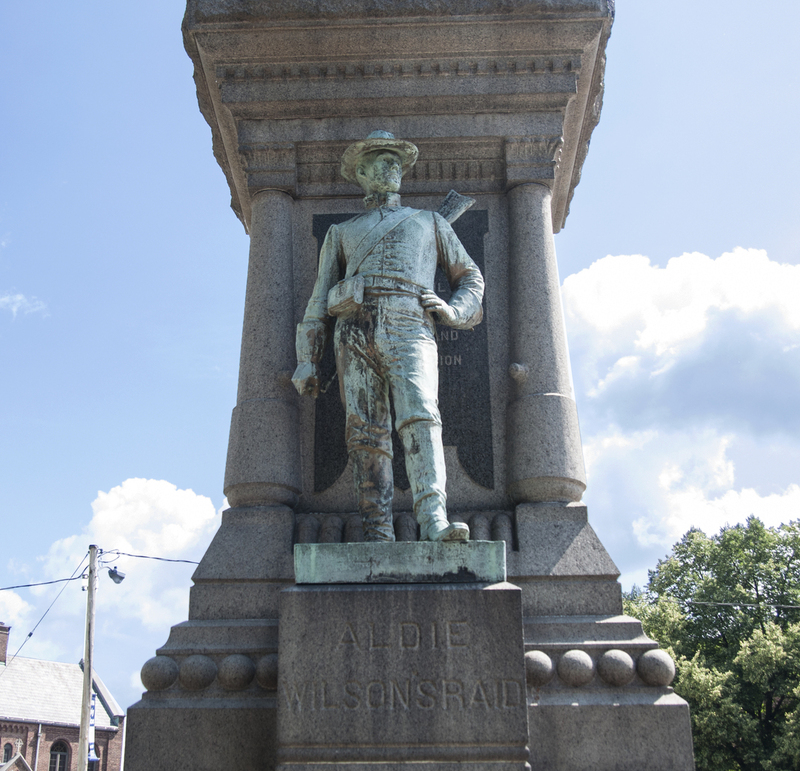 The soldier to the left of the column stands straight with both hands resting on the barrel of his upward-pointing gun. 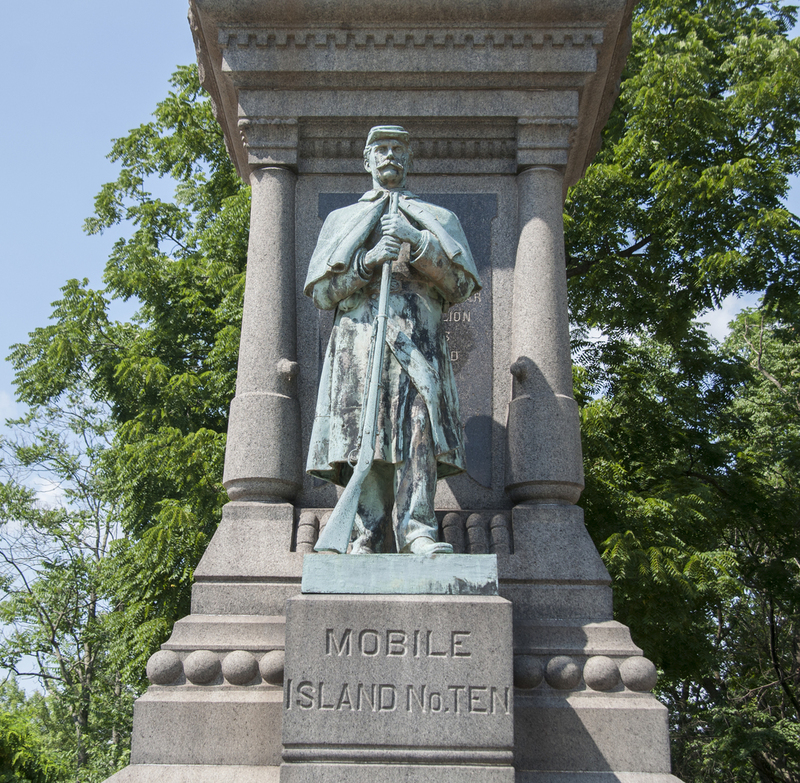 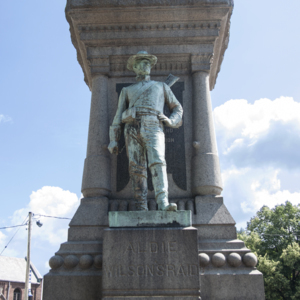 : “Civil War Monument of Veteran Park,” Ohio Outdoor Sculpture Inventory, accessed April 22, 2019, http://oosi.sculpturecenter.org/items/show/1540.